Your after hours family medical practice! The Port Elizabeth Group Practice (PEGP) was formed in 1995 with the purpose of establishing a facility which will provide after hours medical care for patients. 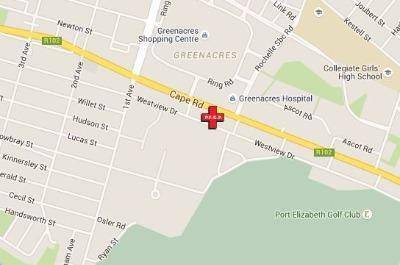 Situated at 222 Cape Road, Mille Park, we are close to all the supplemental medical services such as Radiology, Pathology and Hospitalisation if needed. Centrally situated and easily accessible, PEGP offers affordable and professional after hours medical care by experienced doctors. Open weekdays from 6pm -10pm and Weekends and Public Holidays from 8am-10pm. Our doctors take their moral and ethical obligation to provide after hours care for their patients seriously. Make PEGP your After Hours Family Medical Practice of choice.